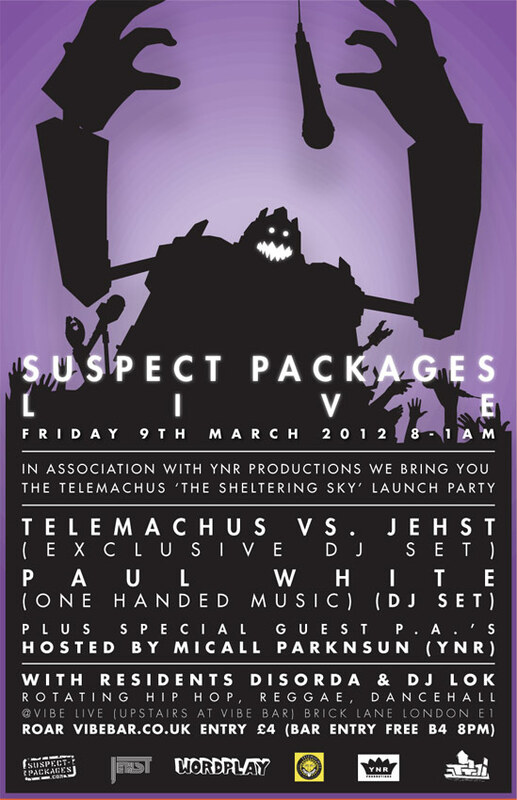 So it looks like this Friday's Suspect Packages Live is a must for all beat geeks. Not only are Jehst and Telemachus duking it out on the tables, but One-Handed Music's Paul White - master of weird and wonderful instrumentals and a heavyweight rap album - will be doing his thing. Get to Vibe Bar, Brick Lane, before 8pm to dodge the £4 bar entry.